I’m so very lucky to have a flexible work schedule that allows me to have little weekday adventures with Jane. Her energy is boundless these days and I’ve been trying to think of some new things to do with her that mix up our routine. The spring weather has been so nice the past few days we decided to head downtown and spend our sunny Monday morning exploring Boston. We walked through Faneuil Hall (she picked up a subway map and carried it with her all day! 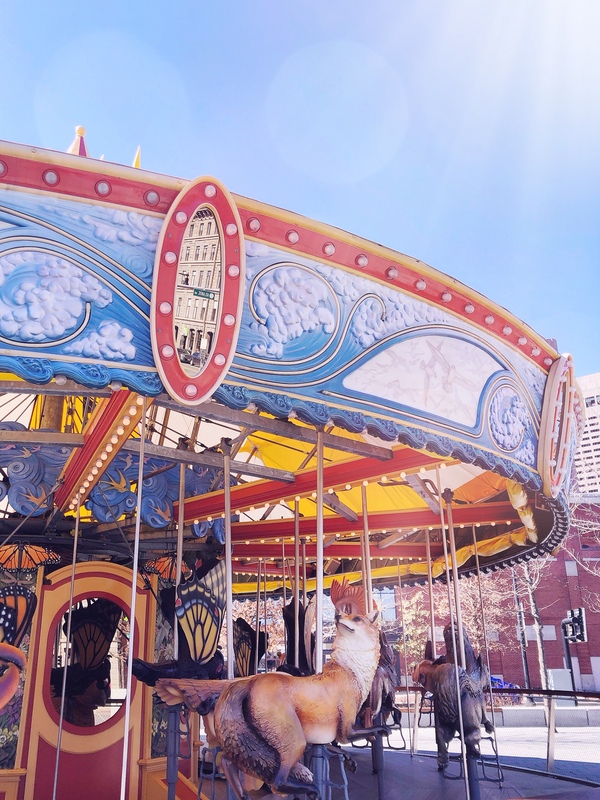 ), met some friends and visited the penguins at the aquarium, and culminated our adventure with one of the magical spots in Boston: the Greenway Carousel! 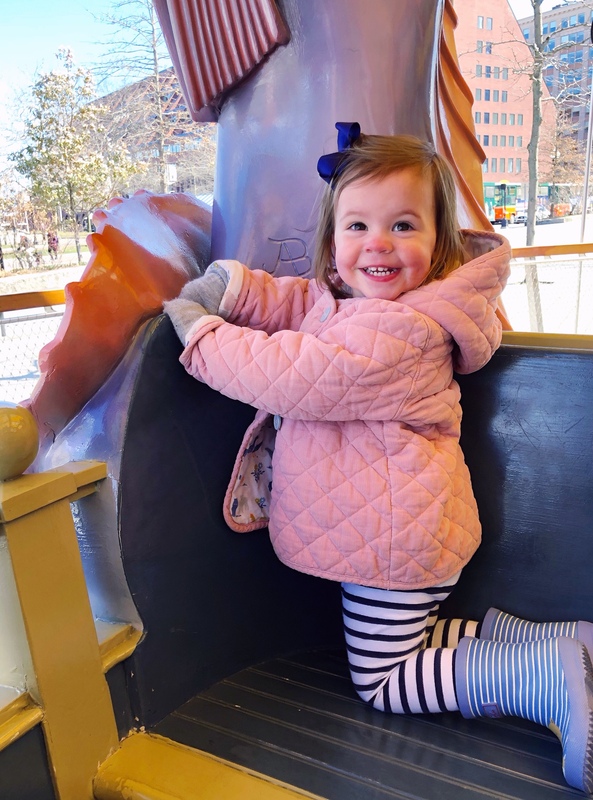 The Greenway Carousel, located on the Rose Kennedy Greenway, just opened up for the season and they sent us some tickets to give it a try. We had the perk of it being a Monday morning so it was quiet and we had a few rides all to ourselves! Jane took a ride or two to warm up to it, but then she was begging to go “again! again!” and walk around the perimeter to survey all of the animals we could ride on (we picked the fish boat every time, she was all about riding in comfort, ha). 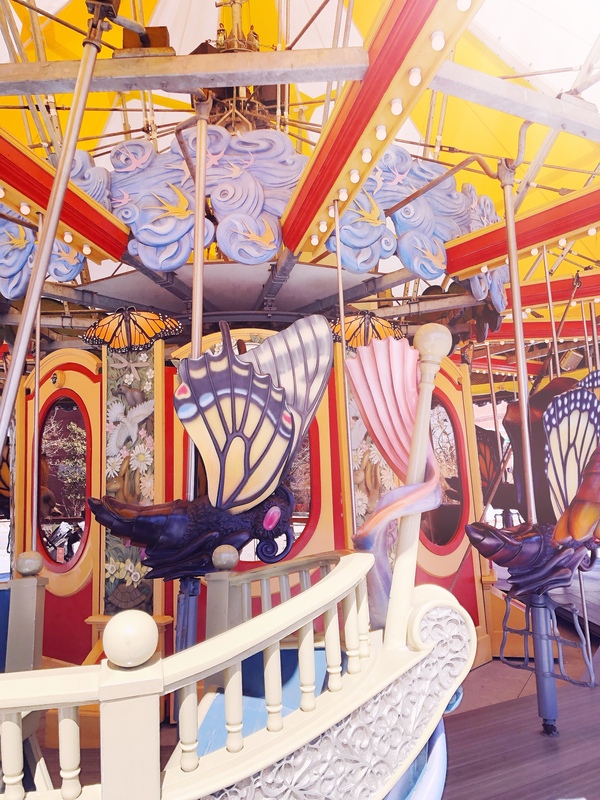 I got to chat with the attendant and learned a bunch about the one-of-a-kind carousel. 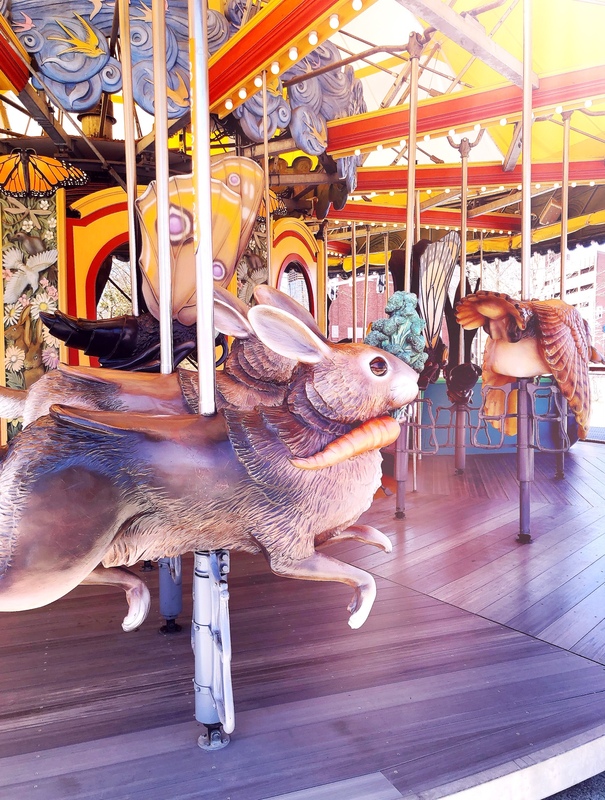 A few things I didn’t know: 1) The Greenway Carousel features 14 different characters native to New England, and the characters were inspired by the drawings of Boston school children, which were then fabricated by artists in Newburyport, MA. You can still see some of the original drawings alongside the ticket booth on The Greenway! How cool is that? 2) You can host a birthday party at the carousel; which includes exclusive access to the patio area near the carousel for your festivities and special unlimited ride wristbands. You can also bring in other fun activities like face painters and balloon animal artists. 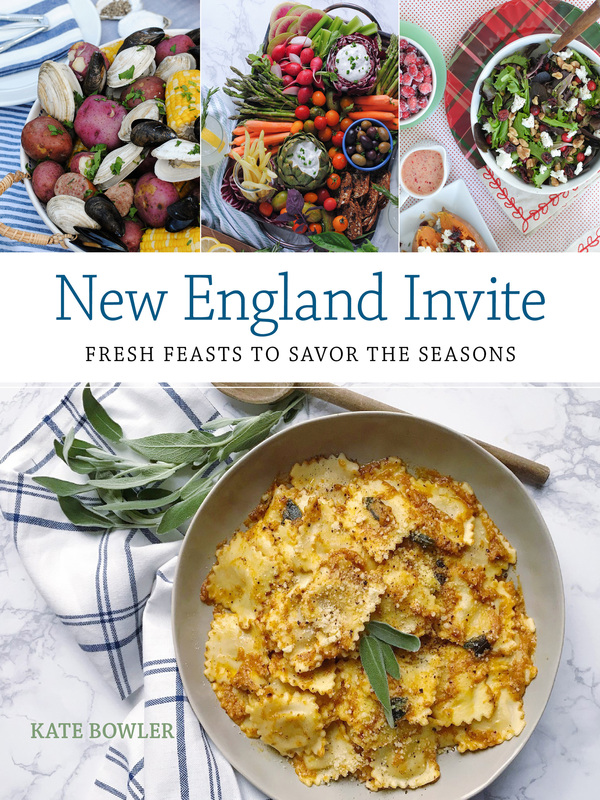 It has me wishing Jane had a warm-weather birthday, I think it’s such a fun idea! It was such a beautiful, fun-filled day that ended with some serious toddler car-napping on the way home (the sign of a good adventure). 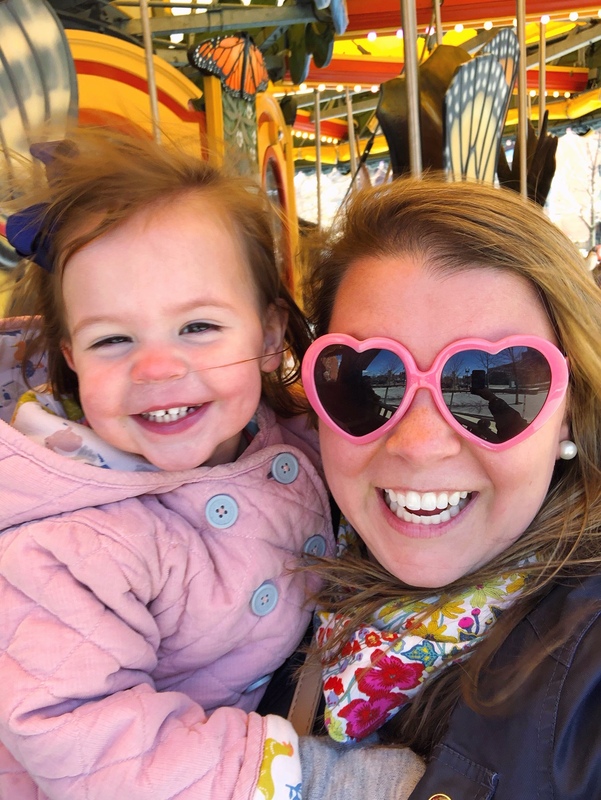 I can’t wait to head back to the Greenway Carousel again this summer for some more old-fashion fun! 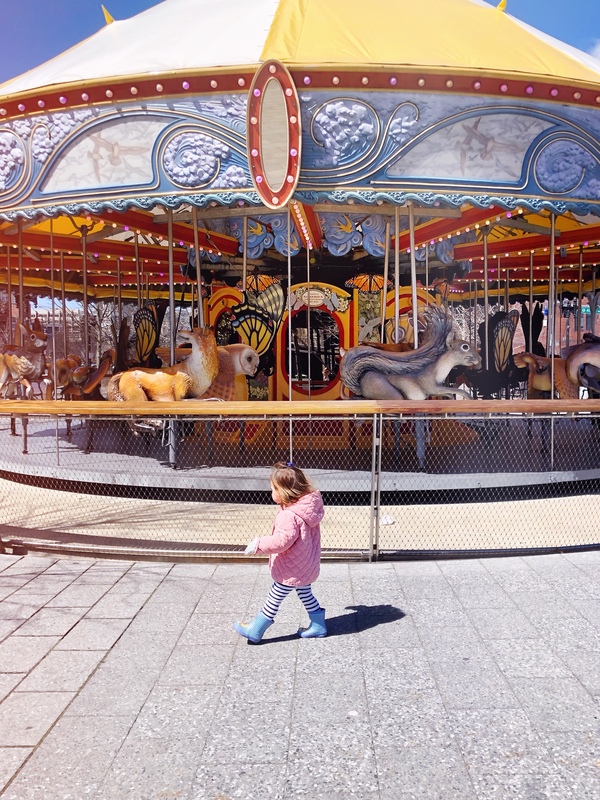 Please note: This post was created in partnership with the Greenway Carousel, all images, content and opinions are my own. Thank you for supporting brands that support this site. Easter Grazing Board. Roasted Asparagus and Creamy Dijon Sauce. 2 Responses to "The Greenway Carousel." Passing this on to my son and DIL who live in Cambridge with our 2-yr-old granddaughter. Just hope they invite her Cape Cod Grammy & Gramps to come!! 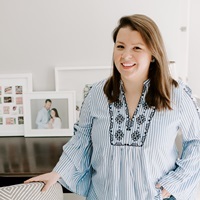 I’m a fairly new subscriber to your site and always enjoy it!